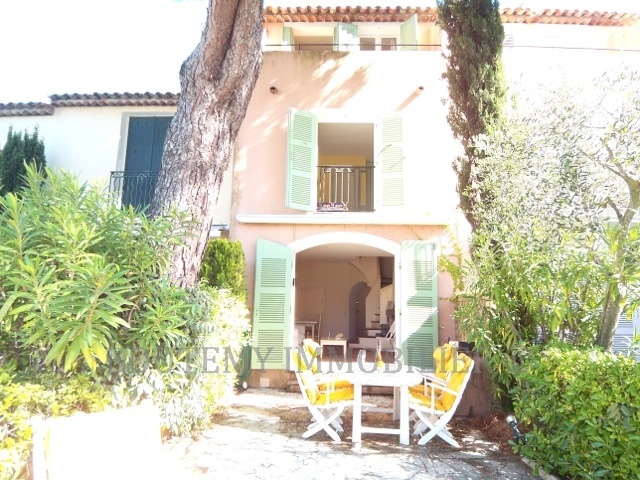 Boutemy, your real estate agency in Port Grimaud for nearly 20 years, has many vacation homes rentals to offer for your holidays on the Côte d’Azur. Stay there with your family and friends to enjoy the charm of the lakeside city, nestled in the heart of the Saint-Tropez Gulf only a short boat ride away from the famous village of the stars. In Port Grimaud, you can spend your vacation in a house with your feet in the water and moor your boat right in front of your residence. Thus, if you want to go sailing or visit one of the neighbouring villages you will have only a few meters to travel before being at sea. Our seaside village therefore offers the experience of a stay at a luxurious marina, but in a (rather rare in the Côte d’Azur) protected environment – we are the recipients of the very demanding Pavillon Bleu – and in a calm atmosphere, far from the tropezian frenzy. While the season is in full swing and most of our rental houses are occupied, we suggest that you make your reservation for next year as early as possible. The most popular months being June through August, you will have more choice in April, May, September, and October. However, if your schedule is freed up at the last minute and you absolutely want to spend a week in Port Grimaud during the summer, do not worry. Our team will help you find what you need. In fact, some houses are belatedly listed for rent and you may be able to get your hands on freshly listed properties. Otherwise, the owners must move their holidays around and vacate their home at unexpected dates. The distinctive feature of Port Grimaud’s housing market is that the residences available for rent are not rental investments. This means that the properties we show you are occupied by the owners for many weeks every year. Therefore, the owners only rent the properties when they know they will not be present. The result of this is the care taken when it comes to the comfort and decoration of these homes. This rather exceptional situation allows us to show you excellent quality residences. You may come to your own conclusions by viewing our ads on the Internet. Depending on the number of people you are travelling with or the space you want, you can use search filters to view houses with 3, 4, 5 or more bedrooms. We suggest you consult the description sheet for each of the selected properties. These sheets will give you detailed descriptions, many pictures, the mention of there being a mooring or not, and the size of the residence. An availabilities’ calendar is also displayed. If the week you want is green: bingo! Call us at 04 94 56 56 58 to finalize your reservation. We look forward to seeing you in the lakeside city! Cette entrée a été publiée dans real estate le 22 août 2015 par Boutemyblog.